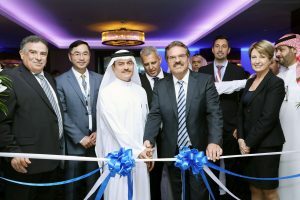 Dubai, UAE, 2 May, 2016: His Excellency Humaid Al Qatami, Chairman of the Board and Director-General of the Dubai Health Authority, inaugurated today Zulekha Hospital’s cervical cancer screening and prevention campaign aimed to promote early detection and save lives across the UAE. According to a February 2016 report by the HPV Information Centre, an international cervical cancer data compiling institute supported by the World Health Organisation and the European Commission, as many as 1.82 million female UAE residents are at risk of developing cervical cancer. Developed for the third consecutive year, the ‘Smear, Don’t Fear’ campaign is one of Zulekha Hospital’s key CSR initiatives, stressing the importance of regular checks for early detection and educating the wider public about the cervical cancer vaccine that can eliminate the disease. 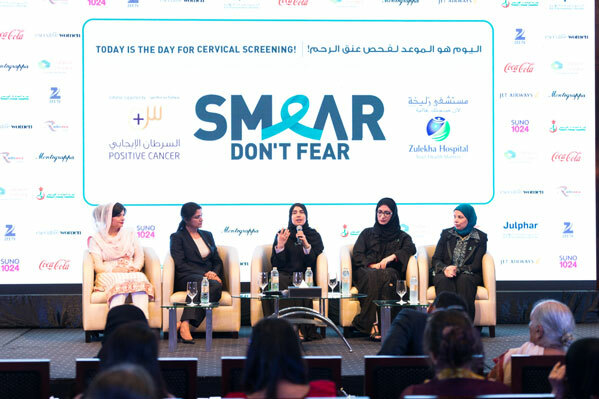 This year’s campaign, run under the theme “Today is the Day,” was launched during a press conference featuring prominent doctors and global cancer campaigners, highlighting the need for urgent action following the dramatic rise of cervical cancer in the UAE. During the launch ceremony His Excellency Humaid Al Qatami said that such public awareness campaigns are vital for disease prevention and health promotion. “This is the third time we’re extending our support to Zulekha Hospital in their effort to spread the message that cervical cancer can be easily prevented and effectively cured, if detected in the early stages. Such public awareness campaigns are vital to educate the community about preventive healthcare and screening,” he said. Speaking on the occasion were also Dr Layla Mohamed Al Marzouqi, Director of DHA Health Regulation & Dubai Medical Tourism Project, and Mrs Neeta Bhushan, Deputy Chief of Mission & Head of Chancery, Embassy of India, along with leading gynaecology specialists from Zulekha Hospital. Addressing the audience via video link from the United States was Dr Pamela Munster, renowned cancer expert from the University of California in San Francisco, widely regarded as one of the world’s leading universities in health sciences. Annually, cervical cancer affects as many as 93 women in the Emirates with 28 fatal cases on average, but regular screening can effectively prevent the disease. As part of the new campaign, women in the UAE can take advantage of free specialist consultations and Pap tests at Zulekha Hospitals in Dubai and Sharjah from now until 31 August. 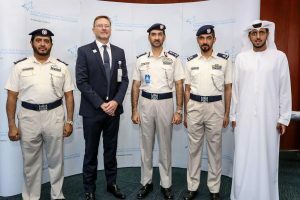 The disease is caused by the human papillomavirus (HPV) and the campaign’s long-term goal is to permanently eradicate the incidence of cervical cancer in the UAE by promoting and implementing a country-wide HPV vaccination initiative. The vaccine is recommended for both boys and girls under the age of 13 and can prevent most cases of cervical cancer if given before a female is exposed to the virus, according to United States Centres for Disease Control and Prevention (CDC). The campaign is supported by valued partners including Positive Cancer, Patient’s Friends Committee, Montegrappa, Jet Airways, Cytomed, Coca Cola, Julphar Pharmaceuticals alongside media partners Executive Women magazine, Zee Networks, Radio Asia and Suno 1024.